Excellent reading habits begin in the early years. Introducing children to literature in preschool supports kindergarten readiness, promotes early literacy and supports a love of language and reading. SAI Angan library is well stocked with a variety of board books, picture books for early readers, story books in an environment that is conducive to promote reading habits. 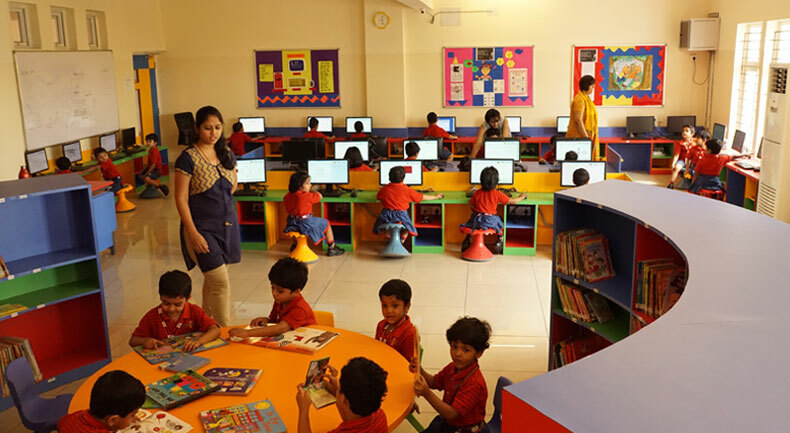 The library also houses alphabet books which help children learn the names of the letters and the sounds that each letter represents and counting books help children learn how to count and to recognize numbers. We have a beautiful collection of books from the best libraries all over the world, including poetry or rhyming books, to teach children phonological awareness and an impressive stock of oversized books as a tool to teach preschoolers how to handle books and to point out letters, words and other features of the book. 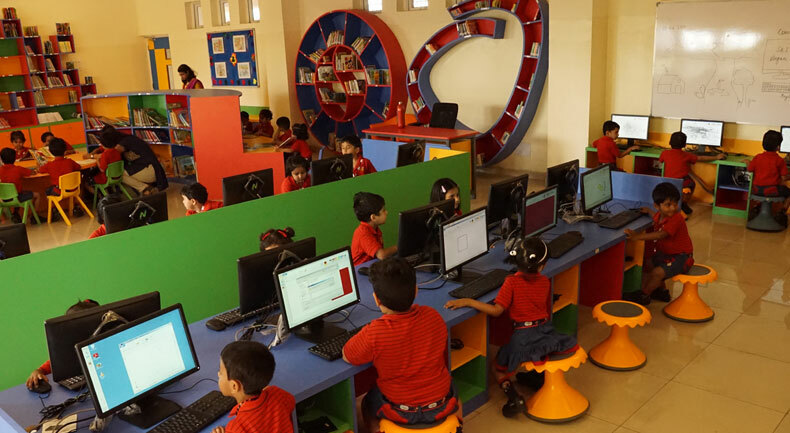 The learning resource centre at SAI Angan is also equipped with computers and the secret to integrating technology in the early childhood classroom is to view technology as another tool and another kind of material to teach specific skills and concepts. Intervention of technology is largely important to expand, enrich, implement, individualize, differentiate, and extend the overall curriculum. Here students are encouraged to work on software like Tux Paint that proves to be an excellent tool for developing their imaginative prowess and visual skills.